The Blut project was born as a free artistic expression by Alessandro Schümperlin, formerly Anthologies band gothic metal. The project from one man band becomes, first as a studio project, and now a true band able to blend musical styles who formally they are in fight into a kind of kaleidoscope of sounds. 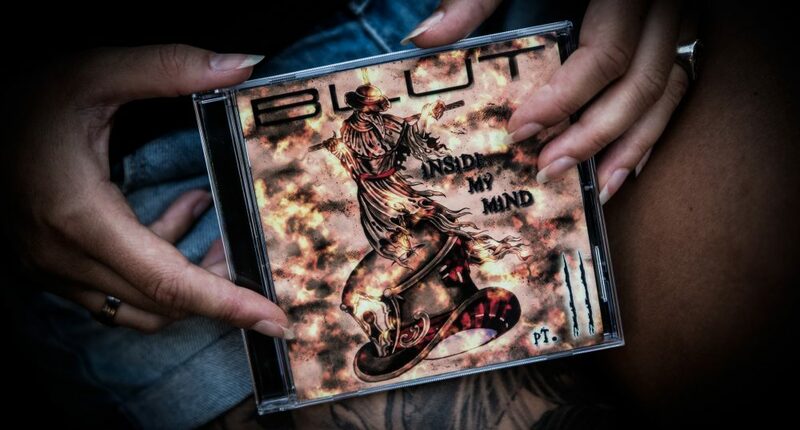 Blut brings original music with no gender limitations and in a very short time reaches the first album, a self-production curated in every detail. The lineup currently sees Alessandro Schümperlin, the female singer Marika Vanni (from Eternal Silence), Fabio Attacco (from Rideout) at the bass, for the drums currently uses the arms and legs of Alessandro Boraso, on guitars Andrea “Ceppo” Faglia and the new guitarist is Enzo “Krisk” Criscuolo. There are several guests coming from different genres with regard to the first album: Silvia Sciacca (ex Clothes of death), Giulio Capone (ex Temperance), Niccolò Paracchini (Argesh), Matteo Calautti (Ex Nightside), Davide Rigamonti (Eternal Silence ). It’s almost impossible to fully describe the work “Inside my mind part I”, being a journey into lesser-known mental illnesses in the world, of course you can cite some enigmatic episodes of the cd as the tragic “How can I kill her? “, Dreamy atmospheres of” Alice “by experimenting pop like” Froget Paris “and more specifically metal like” Where are they? “. There is even room for a piece in Italian “la via di Cappuccetto (the way of little red riding hood)” at times post punk. For this second work, “Inside my mind part II”, the situation has changed to give space to move for the personal choices of the lineup, although the initial compositions were all thought by Alessandro Schümperlin. From May 2 will be available nine songs remixed in electro dark style, the album is entitled “Inside your mind”; this product that will be released for Blut records in collaboration with AUSR and Secret sound records in digital way. So is it impossible to define Blut? Perhaps the true essence of this project is its absolute indescribability.